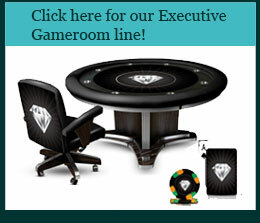 Welcome to Nationwide Gaming Supply, the leading manufacturer of Casino gaming products, delivering the highest quality of gaming tables and accessories to Casinos, exclusive resorts and private enthusiasts, nationally. Based here in Los Angeles, we handle everything from concept to design, production, quality control, packaging, and shipment, with a top to bottom warranty on all gaming tables and accessories for up to 10 years. Committed to the highest quality, and honored with multiple awards, has made us the choice supplier to top clients, such as: World Poker Tour, San Manuel Hotel and Casino, Full Tilt Poker, Sony Pictures, and Warner Brothers, to name a few. 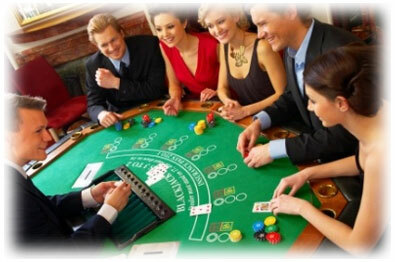 Attention Casino Party suppliers and event planners: all our tables are removable part by part and re-assembled for transportation. Parts can be re-ordered and replaced as well. Visit our state of the art showroom and check out our Poker, Black Jack, Craps, and Roulette tables plus all additional furniture and accessories, all made here in the United States. 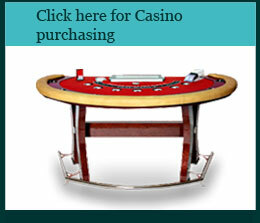 Matching Poker Chips, Playing Cards and more, custom made to fit your gaming area. Over 90% of Casino Party Suppliers buy directly from Nationwide Gaming Supply, because of our attention to detail, rapid processing, customer service and CNC precision accessories. Beware of discounted products made overseas, which are often hollow tables, with no solid skeletal structure (or reinforcement), poorly made, and quickly unusable after purchase. Let us help you pick the right item with a quality, and durability to last you a long time, and an overall design made to impress guests and visitors. 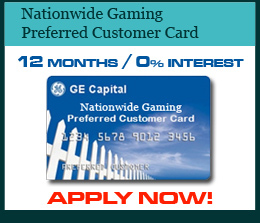 NATIONWIDE GAMING SUPPLY the only name in top design, quality and durability.